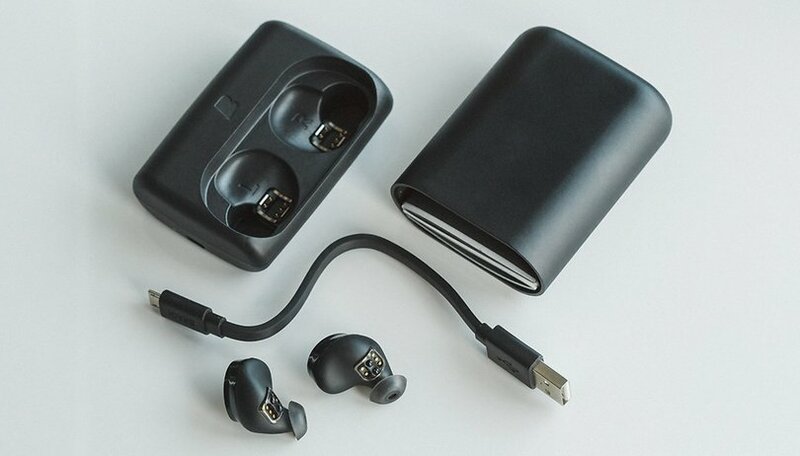 Founded as a Kickstarter project in 2014, Bragi has become a small company that has amassed a devoted fan community with its wireless headsets, The Dash, and its Pro variant. Now Bragi has announced an update that will upgrade both products with voice control by Amazon. I was really impressed when I experienced The Dash for the first time via Bragi. Finally, a headset that only consisted of earplugs and yet, could be used as stereo headphones, a headset and even as an MP3 player. When a review device finally made its way to my desk last year in 2016 and I had the opportunity to give it a trial run for several days, my delight ultimately turned into disenchantment. More than twelve months have now passed, Bragi has released a Pro version of The Dash, app development and even numerous smaller parts of the product have definitely improved. There’s a new development for IFA 2017 in Berlin that is once again catching my attention: In October 2017, Amazon Alexa will be coming to both products via a software update. This update would make it possible for Bragi’s headphones to receive some of Amazon Alexa’s skills for the first time. Initially, you will be able to make orders at Starbucks, order an Uber or Lyft, have messages read out loud and, of course, retrieve appointments, send text messages and play songs or playlists via voice commands. The following video will show you how it will all look like in day-to-day use thanks to Bragi OS 3.1 for The Dash and The Dash Pro and Amazon Alexa integration. Interestingly, there is an additional feature: the virtual 4D menu that was illustrated at the beginning of the video. Apparently, you can navigate through a virtual menu and perform actions by moving your head. All these new features sound quite interesting again and once more pique my interest, mainly because Samsung and even Jabra have evolved with the Gear IconX 2018 and Elite Sport, respectively. At IFA, we will get the chance to speak with Nikolaj Hviid, founder of Bragi, and we will also have the chance to try out these new features for you.